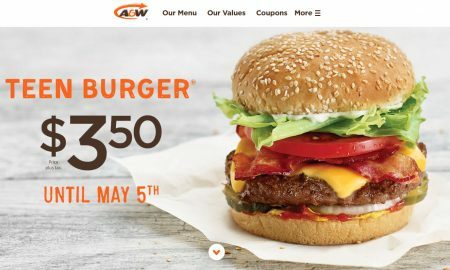 For a limited time, A&W is offering their popular Teen Burger for $3.50 (plus tax). You don’t need a coupon or anything to take advantage of this offer and you can order as many as you want. It’s valid at all participating A&W restaurants in Canada until Sunday, May 5, 2019. A perfectly seasoned 100% pure beef patty – raised without the use of hormones or steroids – topped with processed cheddar cheese, mouth-watering bacon from pork raised without the use of antibiotics, crisp lettuce, onion, tomato, pickles and Teen sauce, served on a freshly toasted sesame seed bun. Bite into one today for just $3.50. Click here to visit A&W’s website for more details about this offer. Groupon.com is having a Sitewide Sale. Save up to an extra 20% off. 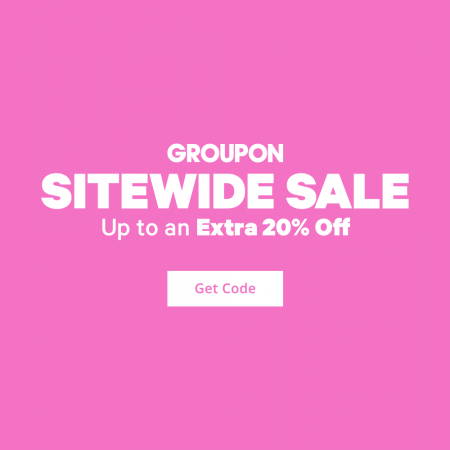 Save an extra 20% off Local deals on Groupon when you enter the promotion code SALE3 at checkout! I’ve tested the code and can verify that it works. The code is valid on up to 3 local deals per customer. Also, the same SALE3 promo code will save an extra 10% off Goods deals and an extra 10% off Getaway (travel) deals. This promo code is valid for 2-days only from Tuesday, April 23rd to Wednesday, April 24, 2019. This is going to be a very popular offer so don’t miss out! This is a hot deal because most of the deals featured on Groupon is already discounted 50-90% off. You’ll find lots of amazing deals with the extra up to 20% off (sale on sale). The promo code works on most local deals in any city in Canada or U.S. (Ie. restaurants, spas, events & activities, heath & beauty, automotive, home, golf, etc…). Valid on 1 unit per transaction; max 3 Local deals, 3 Getaways flash deals & 3 Goods items per customer. Up to $50 discount per deal. Hurry, only a limited amount of people can use the code so take advantage of the offer while it lasts! 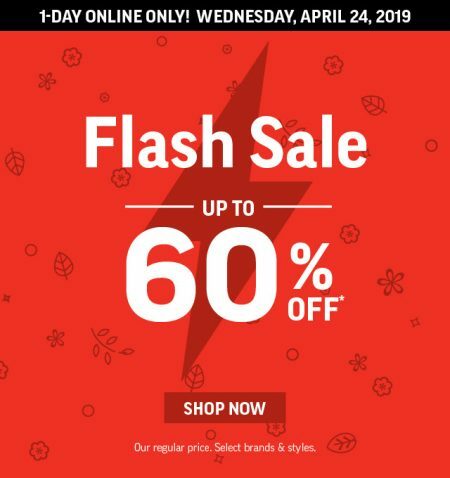 Hurry, the sale is available online-only on Wednesday, April 24, 2019 or while supplies last. Shop early for the best selection of sizes and styles. Entertainment.com is huge Flash Sale! For a limited time, all 2019 Coupon Books are on sale for only $10 + Free Shipping when you enter the promo code FLASH at checkout. I’ve tested the code and can verify it works. This is the lowest prices I’ve seen the new 2019 books sell for! The books retails between $35-$50 each (depending on the city) so that’s a savings of up to 80% off! The sale is available online-only from April 22-25, 2019. Note: Prices on Entertainment.com are in USD, so $10USD = $13.37 CAD. The Entertainment Book is widely recognized as the best coupon book on the market. Their books save consumers money on restaurants, shopping, services, movie tickets, car care, local attractions, hotels, travel, groceries and more! There are 126 local Entertainment editions, covering every major city throughout Canada and the US. I’ve bought Entertainment’s coupon book the last 15+ years and highly recommend it to everyone. I’ve saved a lot of money over the years thanks to all the fantastic 50% off coupons and 2-for-1 coupons. I usually buy a book at the start of the year and another book near the end of the season when they’re heavily discounted sale. You can visit Entertainment’s website to see all coupons and merchants in the book. There’s a lot of very good coupons this year. 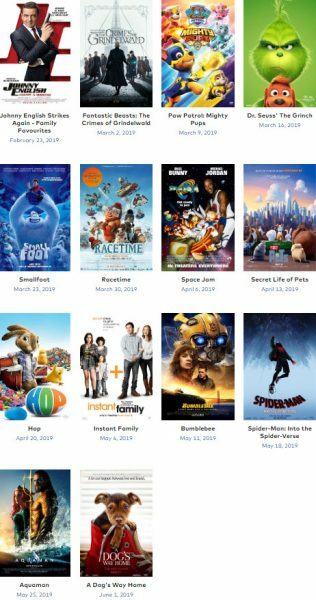 Click here to buy your 2019 Entertainment Coupon Book now or to see all the coupons and merchants. 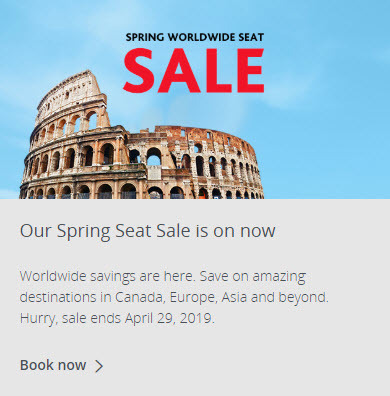 Air Canada is having a Spring Worldwide Seat Sale. Worldwide savings are here. Save on amazing destinations in Canada, Europe, Asia and beyond. Hurry, sale ends April 29, 2019. Here is Costco Wholesaler‘s latest weekly instant savings coupons. All of the coupons are valid from April 22 to 28, 2019. Some of the coupons are valid for 2 weeks. The handouts are available at all Costco Wholesale warehouse locations in Quebec, Canada. The handouts are available at all Costco Wholesale warehouse locations in Western Canada. Groupon.com is having a Price Slash Sale. The sale is available for 1-day only on Sunday, April 21, 2019. 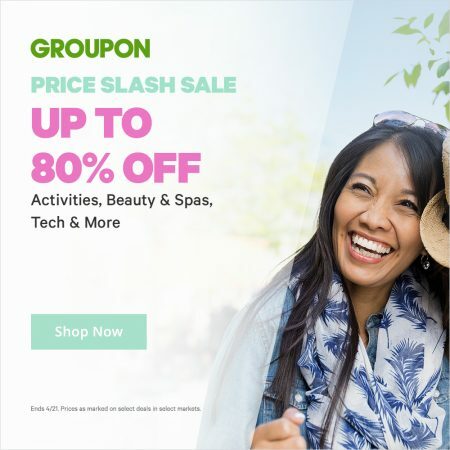 Click here to shop Groupon’s Price Slash Sale. 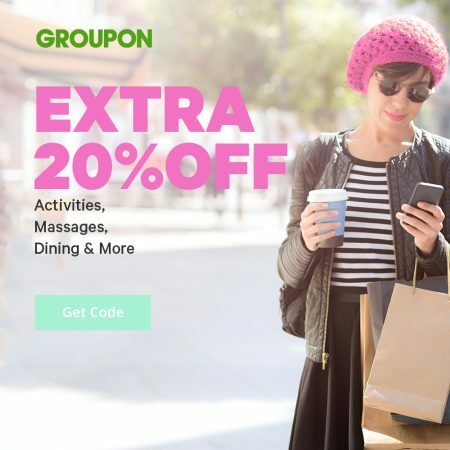 Groupon.com is offering a 48- Hour Checkout Promo Code! Save an incredible extra 20% off Local deals when you enter the promo code SAVE at checkout! I’ve tested the code and can verify that it works. This promo code is valid for 2-days only from Friday, April 19th to Saturday, April 20, 2019 at 11:59pm PDT. This is going to be a very popular offer so don’t miss out! This is a hot deal because most of the deals featured on Groupon is already discounted 50-90% off. You’ll find lots of amazing deals with the extra 20% off (sale on sale). The promo code works on most local deal in Canada or U.S. (Ie. restaurants, things to do, spas, events & activities, heath & beauty, automotive, home, golf, etc…). Valid on 1 unit per transaction; max 3 uses per customer. Max $50 discount per deal. Must click through to be eligible. Must use mobile or desktop site. Click here to shop on Groupon.com now or to view all the latest local deals near you.